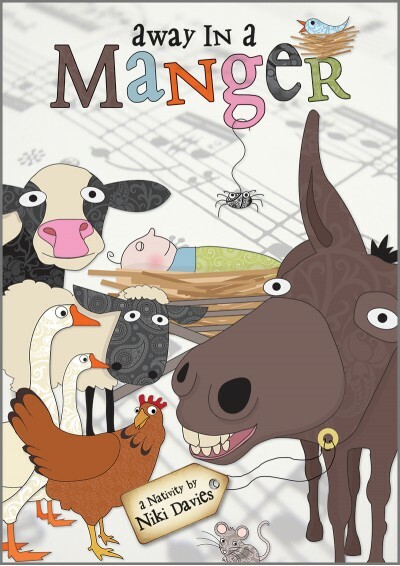 Away in a Manger is a delightful children's nativity play about a proud mule called Maurice, who has become rather attached to his manger. What a commotion it causes when he has to share it with a stream of visitors!Available with Words on Screen™ v2. Maurice the mule is not happy! All he wants to do is munch away on some fresh hay and settle down for a peaceful night's sleep, but one by one he finds a hen, a mouse, a bird and a spider in his manger and he doesn't like sharing it with anyone! Chasing them all away, Maurice tries to settle down to sleep when suddenly there is yet more commotion. Why is there a baby in his manger? And why have shepherds and kings come all this way to see him? Join Maurice and his friends as they try to puzzle out exactly what is going on in their busy stable! 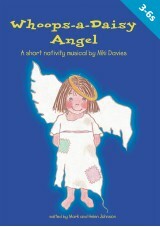 Seven fantastically catchy songs and an adorable script make Away in a Manger a future classic children's nativity play. There are 19 speaking parts in this play and this is the least number of performers that are needed. Whole school: Split the large narrator part into several speaking parts; have as many stable animals and shepherds as you like; include the four manger animals. Away In A Manger. Brilliant. 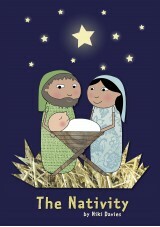 Well done on this amazingly easy to use nativity. 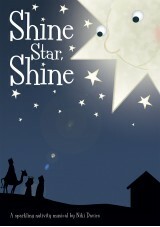 We have just performed this last Sunday and it went off without a hitch. So easy to use, So much fun. The kids loved it, the adults loved it. We kept it really simple and brought animal masks and the kids loved being animals instead of angels for a change. Everyone commented on what a fresh fun look this was to the usual nativity. 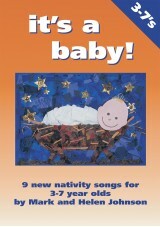 The music CD was so good to sing along to and the songs were so easy and catchy for the kids to learn. Highly highly recommend..